Keywords are an important part of being found in the online world. 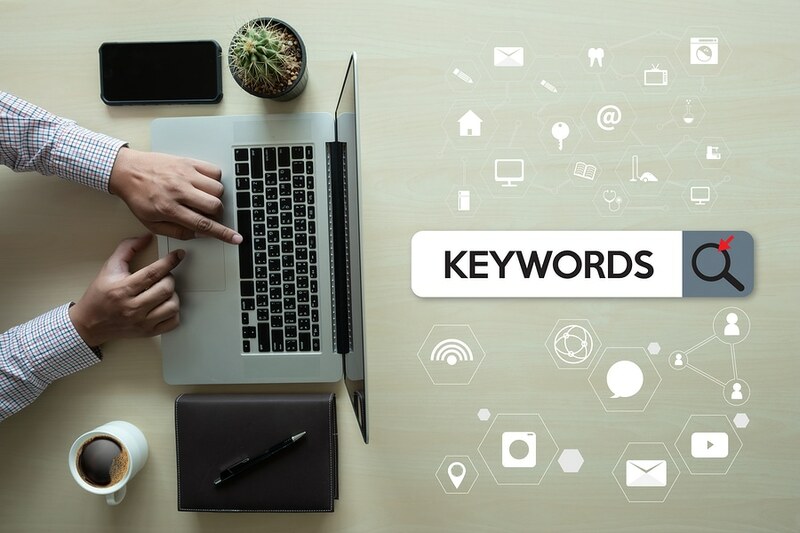 When the keywords in your content and your online ads match what search users are looking for, Google will use them to determine the relevance of your content. This is a major factor in ranking your pages, as opposed to competitors offering similar content and keywords. While brick-and-mortar brands can use tactics like keywords related to geographic location to target local searches, e-commerce brands that operate solely in the online arena don’t have this luxury. What can you do to create a keyword strategy that suits your unique position? How can you conduct keyword research specific to e-commerce branding? Here are a few tips to get you started. The place to start is by coming up with the most relevant keywords for your content, your brand, your merchandise, and so on. Brainstorming keywords and keyword phrases is a springboard from which to hone your keyword strategy. In this day and age, branded keywords can be difficult to obtain, which is why you’ll definitely want to shoot for longtail keywords for greater specificity and less competition. Once you’ve completed your list, it’s time to start comparing it to trending keywords to find those that are similar and in demand. Google’s Keyword Planner Tool is a must as it can tell you how popular your preferred keywords are and suggest alternatives that might get more traction with search users. You can also weigh popularity against competition to come up with a strategy that works for you. If you don’t have a site search tool, now is the time to implement one. It not only helps users to navigate your site more quickly and find exactly what they’re looking for, but it gives you insight into what your audience wants and how you can craft the keywords that lead them to it by the most expedient route. Wouldn’t you like to know what people are looking for on competitors’ websites? A good way to find out is to start typing in searches on their site search bars and see what suggestions come up. Not every website has this feature, but many will offer up a list of the most popular searches for users to peruse and pick from so they can save some time and gain convenience, as opposed to tediously typing in a longer search term. This will provide a wealth of information that could be useful when developing your own keywords, especially if you’re looking to poach customers from your competitors. Don’t forget, you can also use this trick on the Google search bar to find out which terms close to your preferred keywords are getting the most play. More and more people are using voice search, not only because it’s convenient, but because hands-free laws forbid them from typing while driving. However, when people speak a search query aloud instead of typing it, the terminology is bound to differ. This strategy hasn’t totally caught on yet, so you could see good results by focusing on voice search.